Another area of her research is focused on gender, labour markets and welfare state. Under this broad theme, she has worked on issues of older women workers access to pensions, gendered impacts of recession and austerity and more recently on precarious employment and older workers. She received funding from CARDI to lead a cross-border research on pensions and older women and published a number of reports and articles. 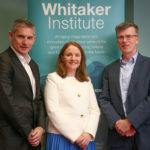 She is actively involved several networks including an Irish Research Council funded network on Gender and Employment across the Lifecourse and Board member of the Research Stream on Gender, Labour and Welfare State of the European Sociological Association. She worked closely with Aine Ni Leime to submit a successful proposal for a COST Action on Gender and Health Impacts of Extended Working Life and is Work Package Leader on Policy Toolkits. (2008) Womens Property Rights: Advancing Development through Human Rights. Moderator, Panel at the International Human Rights Funders Group, Biannual Meeting. (2008) Global Citizenship in Action  Civil Society and Accountable Global Governance. Panel Presentation, International Monetary Fund. (2007) Womens Property Rights, HIV/AIDS, and Domestic Violence: emerging findings from Sub-Saharan Africa and South Asia. Expert Consultation on Gender, Livelihoods, and Property Rights in an Era of HIV/AIDS, FAO. (2007) Towards a Progressive Legislative Statutory Framework. Womens Property and Inheritance Rights, Dissemination Workshop. (2006) Gender-Based Violence, HIV/AIDS and Womens Property and Inheritance Rights. presented at US State Department. (2005) Strengthening Civil Society Participation and Gender Expertise: Recommendations and Action Points. Panel discussion on Civil Societys Role in the Global Fund. (2005) Property Ownership and Inheritance Rights of Women. Presented at IWPR International Womens Policy Research Conference. (2005) Gender Dimensions of Post-Conflict Reconstruction. Presented at IWPR International Womens Policy Research Conference. (2005) Conflict, War, and Occupation: Womens Struggles & Roles in Peace-Building. Moderator at IWPR International Womens Policy Research Conference. (2002) Making the Law Work: Budgetary Implications of Domestic Violence Laws in Latin America, Central America and the CaribbeanA Framework Documentand . IADB. (2002) Making the Law Work: Budgetary Implications of Domestic Violence Laws in Latin America, Central America and the CaribbeanA Background Paper. IADB. (2001) Domestic Violence in India: The Roles of Education and Employment . Institute for Womens Policy Research Conference; The Status of Women: Facing the Facts, Forging the Future. (1993) Workers Remittances to India: A Country Report. ILO Conference on Migration, organized by ILO. (2008) Womens Property Ownership, HIV/AIDS and Gender based violence: Emerging Links Inaugural Lecture of Gender, Health and Well-being Lecture Series.